Hey beauties! Well here we are again! I feel really bad as I didn't get to do a post on eyeliner last week, mainly due to the fact that I'm really no good with eyeliners (need to practice), but I also just didn't have the time. But anyhow, I'm back for week number 8. This week: Eyeshadow! This is something I am only just getting to grips with as I always simply stuck to one block colour on the lids so never felt the need to buy many. But I'm starting to branch out and learning lots as I go. YouTube has been my saviour haha. As ever, I will explain the basics of eyeshadow, the different types, how to apply and my current favourites. Eyeshadow is a form of makeup that you apply on the eyelid and underneath the eyebrows. If used correctly, it can make the eyes the main feature of the whole face and really make them stand out. 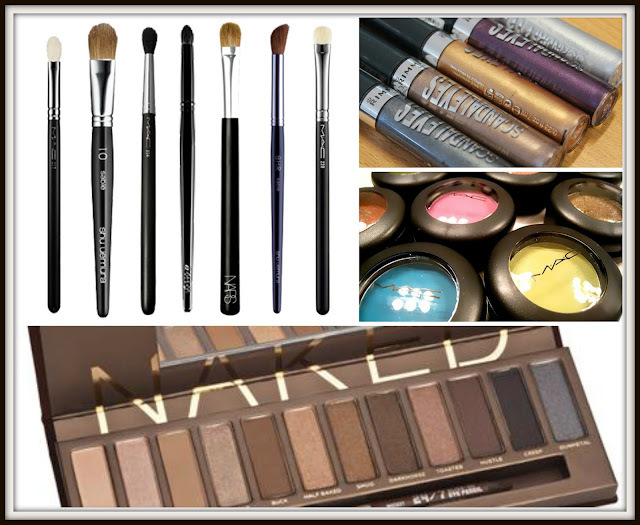 Eyeshadow is usually used to either enhance eye colour, add depth to the eyes or in fact just make them stand out. Compact Powder Eyeshadow - These are probably the oldest and most common form of eyeshadows, as they come in singles, aswell as multiples up to super huge 100 colour palettes. They are easiest to play with so best for beginners (like me, lol). Loose Powder Eyeshadow - This is probably the hardest to get to grips with, as it's so messy, but it is also the most highly pigmented and can result in AMAZING eyes! Cream Eyeshadow - Cream eyeshadows are becoming more and more popular lately. They have existed for a long time in palettes like powders have, and they have suddenly burst onto the scene in pot form (such as the MAC paint pot), as well as stick form (Clinique Chubby Sticks & Rimmel Scandaleyes being the extremely popular choices). The good thing about these is they can be used alone or as a base for the previous two types of eyeshadow. Firstly, you want to choose which type of eyeshadow you want to use. So for example, if you're using a powder or loose powder, you will need some brushes. I'd say to begin with (in my own experience so far) the 2 main brushes you will need are a basic flat eyeshadow brush (to pack on the colour to the whole lid), a blender brush (to blend out any harsh lines and tie your colours in together). The other brushes you can maybe get along the line as you learn. If you choose to use a cream eyeshadow, you can use your fingers to blend it in or you can use brushes. So, after you've chosen your eyeshadow and form of application, you are ready to begin. If you want your eyeshadow to last longer, I'd recommend using an eyeshadow primer first. (I am currently looking for a good primer so if anyone has any recommendations of high street ones then throw them my way, ha). I am currently using Revlon's Vital Radiance Smoothing Eyeshadow Primer (which I think has been discontinued, but you can still buy it on eBay). It works quite well and I definitely notice a difference in my eyeshadow when I do use it, but I just fancy trying some others to see whats what! So once your primer has settled in, it's time to add the shadow. It's always best to add one solid colour to the base of the lid to begin with. If you are using a brush, it's best to pat colour on to the lid as opposed to brushing it on. I've found it makes the colour look better. As I'm still only dabbling in the basics, I have found 2 palettes that have really been good to me so far, and are an absolute bargain! Apologies for the flash, it was dark and I realised I still hadn't taken the photo for this post, whoopsie!! When I was looking for some nice new shadows to start practising, I obviously didn't want to spend too much so I started having a look around. 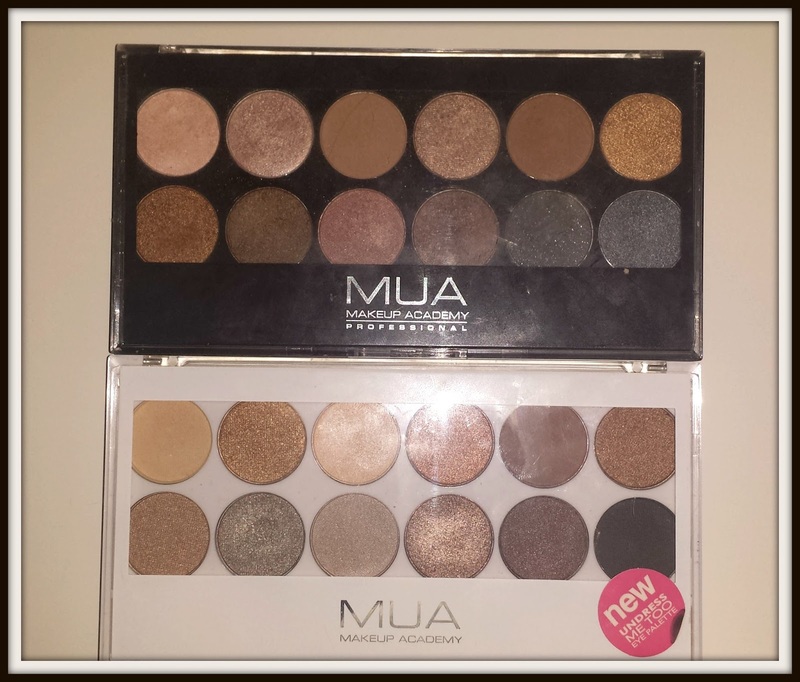 These palettes have been raved about in blog world so I thought I'd give them a go. £4 is an absolute steal for a decent 12 eyeshadow palette. For £4 each, I'm really impressed with both of these palettes. Their formulas are so soft and creamy and they last for a good 8hours+ which is impressive. I'd really recommend getting these as a starter kit. Full review on these bad boys coming soon. Anyway, I feel like this has been my most babbly post of #theSOproject so far. Probably because it's my least experienced one haha. Hope it has made sense and I'm really looking forward to learning more and reading some of the other wonderful posts.